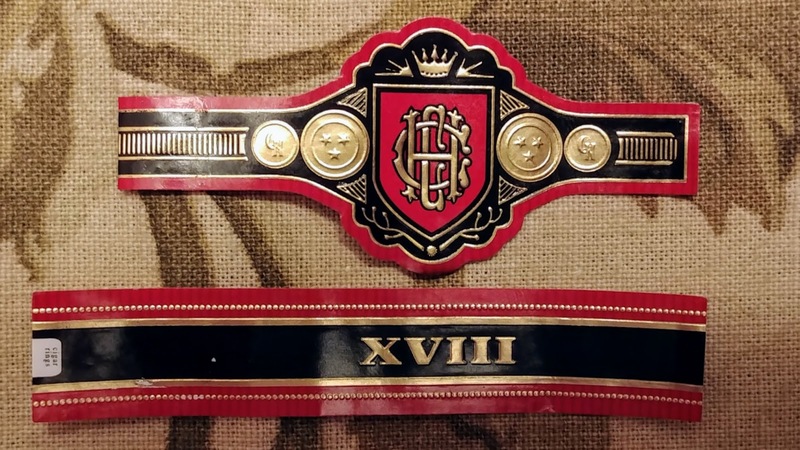 At the 2018 IPCPR Trade Show, Crowned Heads unveiled Crowned Heads Court Reserve XVIII. It’s described as a one time release that pays tribute to the loyal supporters of the brands of Crowned Heads cigars. As for the blend, Crowned Heads Court Reserve XVIII features a Mexican San Andres wrapper, Ecuadorian binder, and fillers from Nicaragua. The three sizes will be available in 20-count boxes, and the company says there will be a total production of 150,000 cigars. 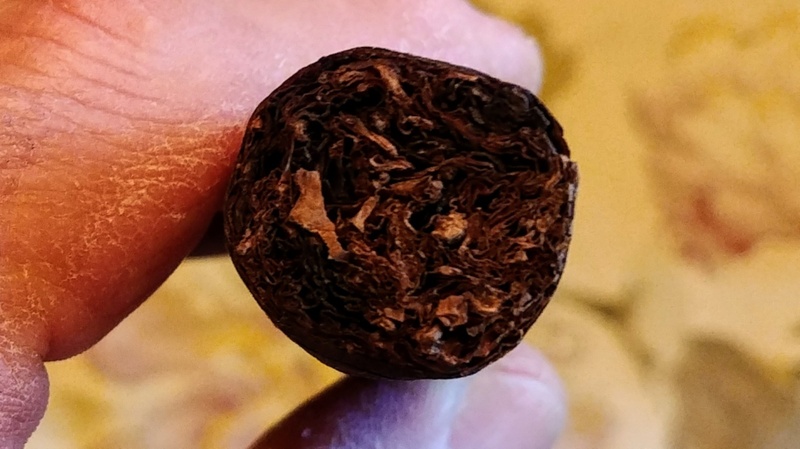 The cigar is very dark, almost black. It almost matches the black in the red and black band, which is quite ornate. The cigar has a nice feel in the hand. The test draw after cutting the cap was very good. The initial flavors at light up were a tangy, sweet cedar with apple influence, a ton of espresso and dark chocolate, nutmeg, brown sugar, and some buttery notes. There was black pepper noted at a 7 1/2 to 8. 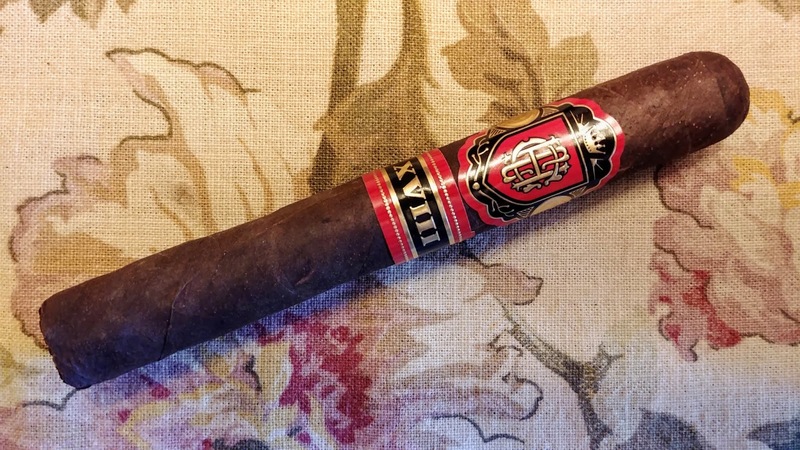 This is a very dark noted cigar but it has plenty of sweet notes to counteract the dark notes. At the first third (28 minutes) the massive amount of espresso and dark chocolate notes have toned down a bit. They are much more manageable now. You still have the sweet cedar, brown sugar, butter, and now there are flashes of licorice. The finish is one of caramel and cream with a nice amount of lingering black pepper. 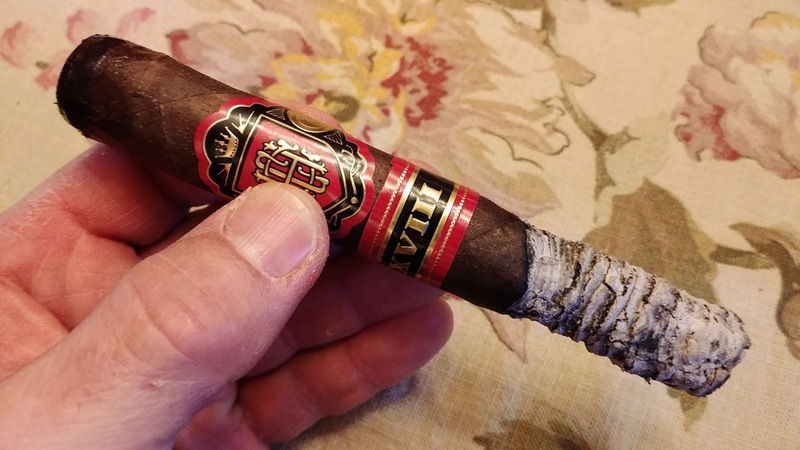 The cigar is medium to full bodied, but a low grade at this point. So far, this is a good maduro cigar. It has plenty of dark notes and plenty of sweet notes. Very enjoyable. I rated the first third at 93. At the end of the second third (53 minutes) I got more tangy notes in the cedar, almost tasting like a citrus. There is a lot of brown sugar attached to the cedar. The buttery notes have decreased. I don't have the licorice notes any longer but I do have caramel notes. There remains quite a bit of espresso and dark chocolate. There is still some nutmeg in the mix but it is a low level amount. 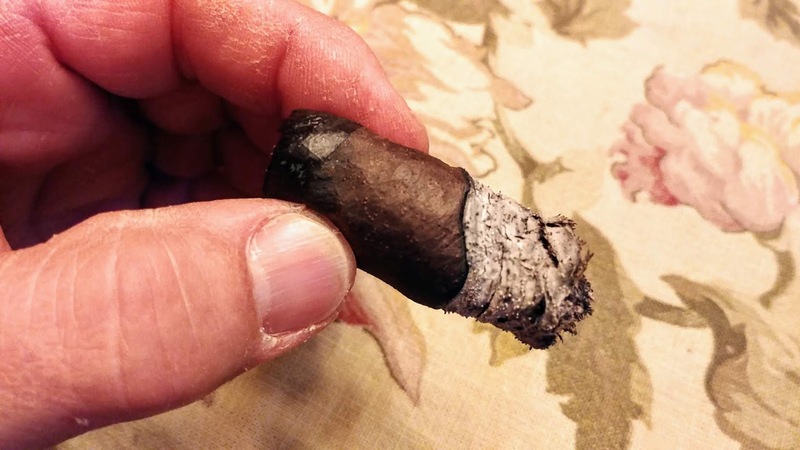 The cigar is medium to full bodied. The finish is unchanged. The cigar remains very good. The second third score holds at 93. 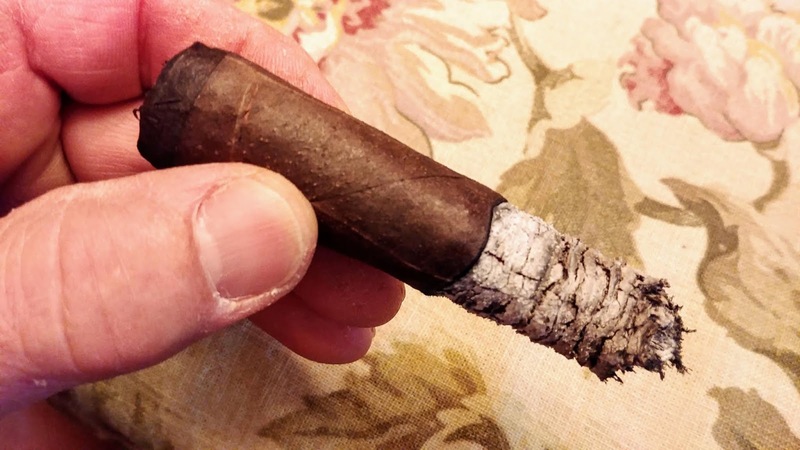 The cigar lasted 1 hour 16 minutes. In the final third I lost a little sweetness. Not much, but some and it affected the score. But overall you had the same flavor notes as previously described. The cigar is a solid medium to full bodied. The finish was unchanged. This was a very good maduro cigar with plenty of nice, dark notes of espresso and dark chocolate. There were also plenty of sweet notes of cedar, brown sugar, and caramel. There was a minor amount of nutmeg in the mix. These should be high on your must-try list. I rated the final third at a 92 due to the minor loss of sweetness but this cigar is a winner. 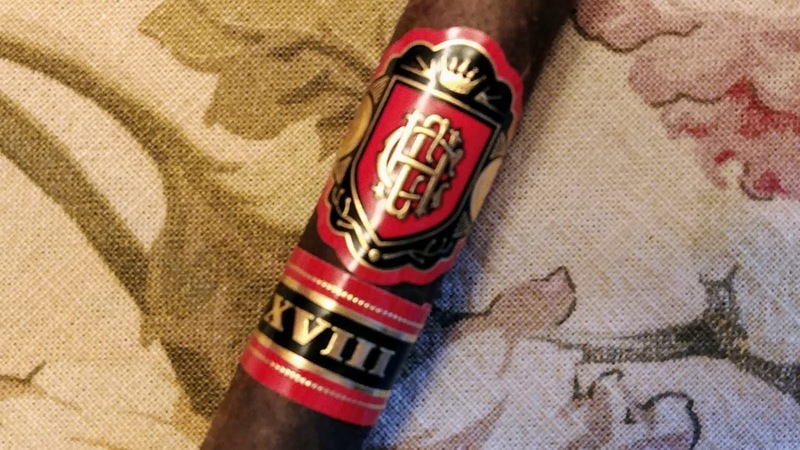 You can purchase these cigars HERE. Great review as always your reviews rock.